We already know Ryan Seacrest might be returning for ABC’s American Idol reboot, but will the rest of the show stay the same? Recently, ABC chief Channing Dungey discussed the network’s plans for the upcoming TV series revival, Deadline reports. After a deal with NBC didn’t work out, ABC announced earlier this month that they are rebooting American Idol for a new season. The long-running singing competition series only ended last year after running on FOX for 15 seasons. Dungey also revealed that the revival will undergo some format changes, saying “You will see clear ABC hallmark and brand.” She later mentioned that details are still being ironed out, but the series will still broadcast live shows. American Idol is expected to debut on ABC in early 2018. What do you think? Are you a fan of American Idol? Will you watch the ABC reboot? I’m done with American Idol. Let’s have The X Factor back, instead. I really enjoyed watching American Idol for several years but by the end of the series I was becoming pretty bored with it. It seemed like the show had run it’s course, I’m surprised they are considering bringing it back. 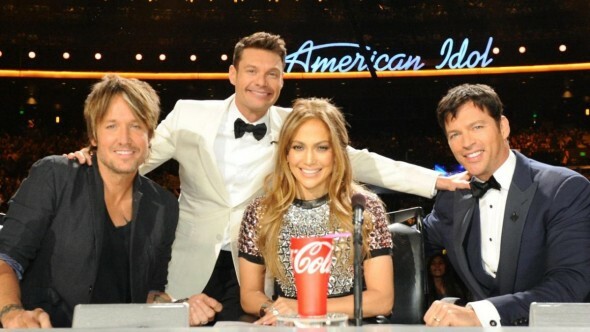 I’m excited about American Idol being revived but it won’t make it without Keith Urban,Jennifer Lopez and Harry Connick Jr because they’re what made it fun to watch rating the contestants so I’m afraid they will only last one more season. No, I was an avid FAN of both American Idol an The Voice, but haven’t watched American Idol last year & gave up on The Voice this year. I’m done with both! Too much of everything these days!